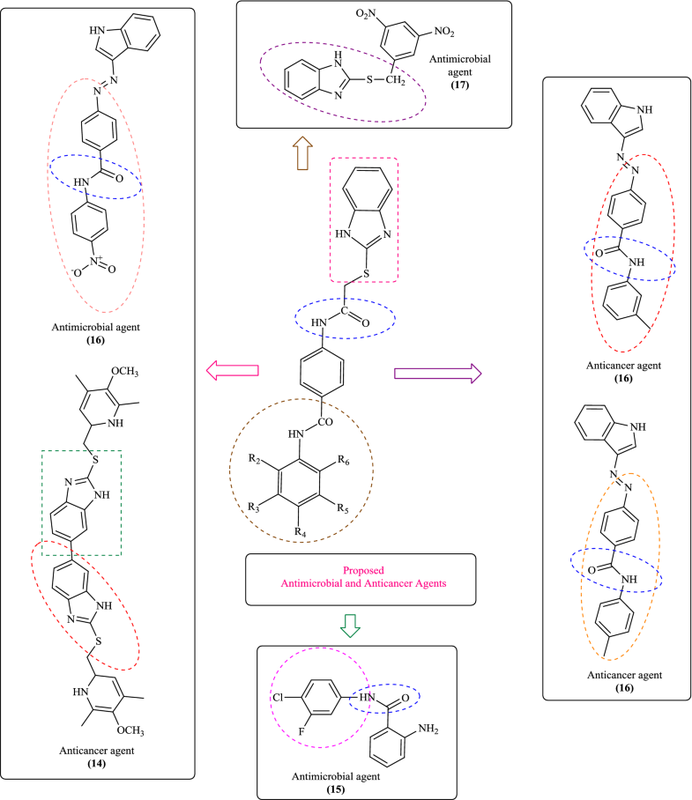 Figure 2 shows some antimicrobial and anticancer activities of benzimidazole derivatives which were reviewed based on a literature survey [15, 16, 17, 18, 19]. 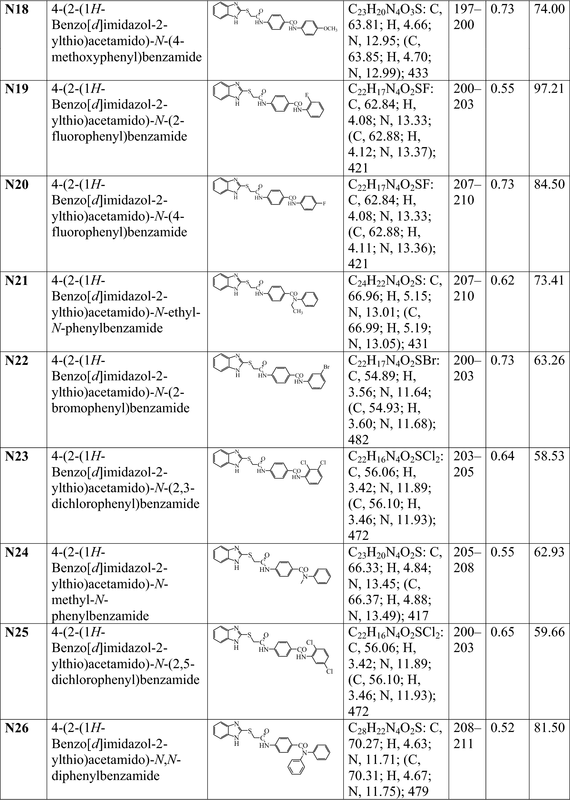 As part of our continuing effort in search for new therapeutic agents, we had synthesized a number of pharmacologically important heterocyclic compounds (N1–N26). 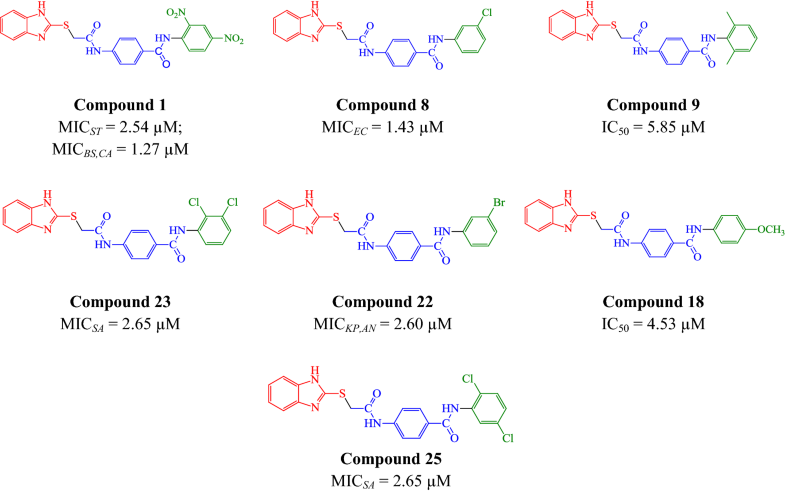 In order to study the impact of electron-donating and accepting groups within the moieties, an attempt has been made to combine 2MBI and p-amino benzoic acid moieties as hybrid and substitute them with different substituted amines. 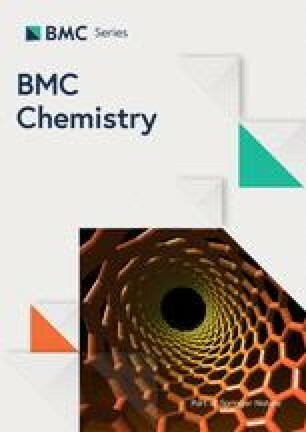 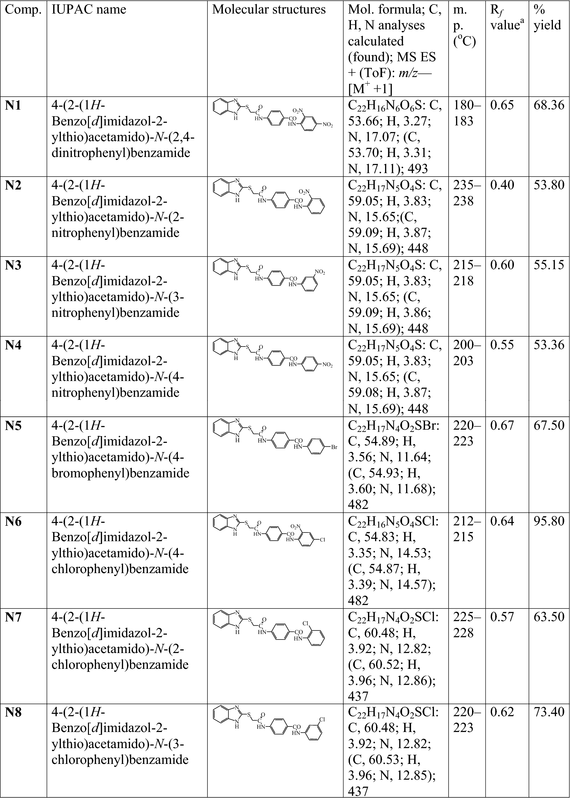 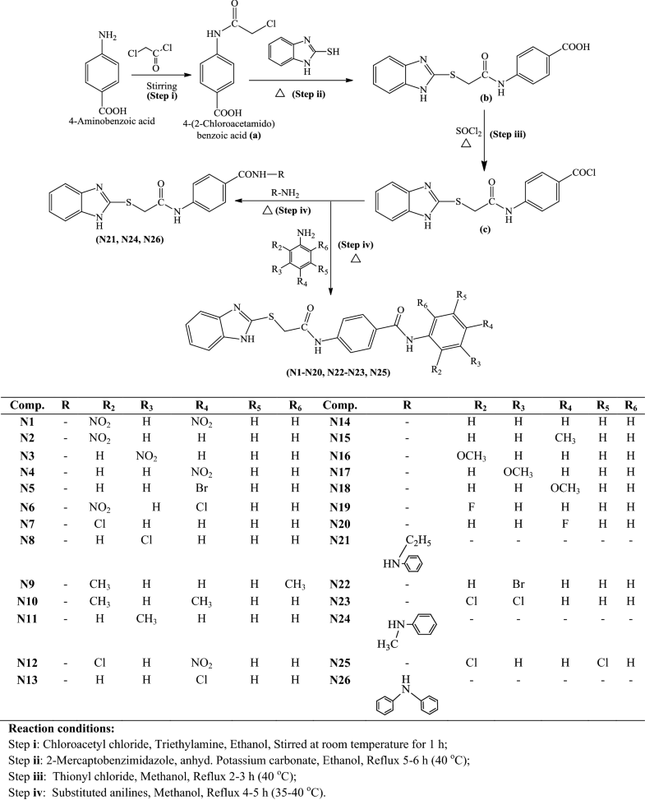 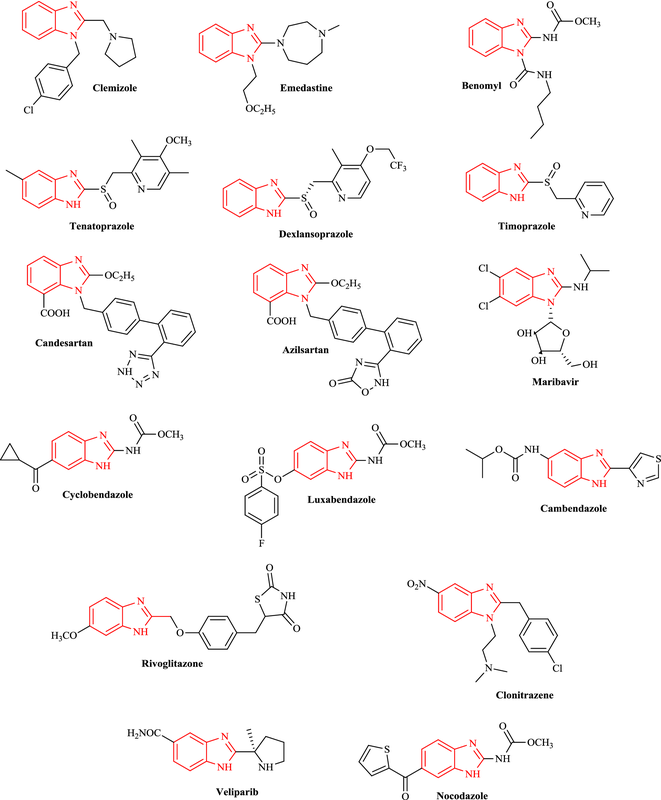 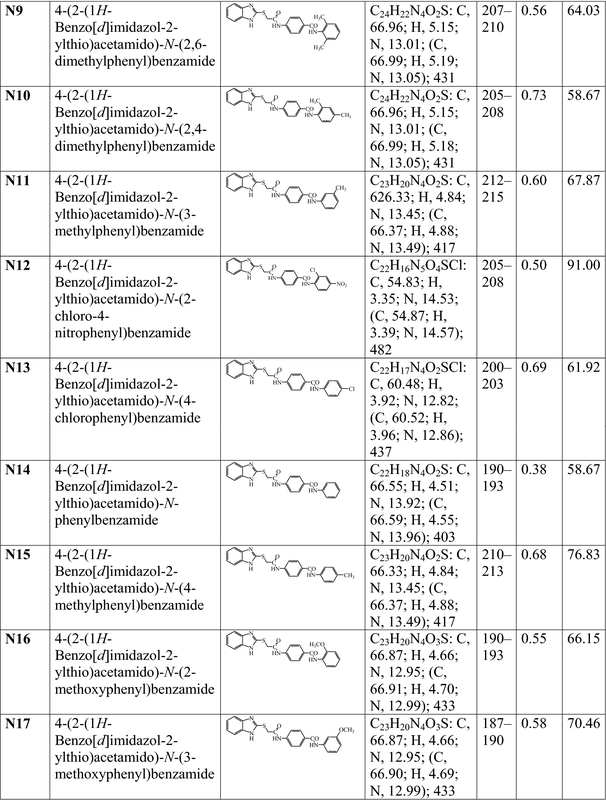 In this regard, a library of substituted benzimidazole was designed, synthesized, spectroscopically characterized and evaluated for potential antimicrobial and anticancer effects in vitro.